Strong and flexible, the Coronet by Vi-Spring features over 1500 six-coil springs complemented with premium inner-layers of all-natural materials. 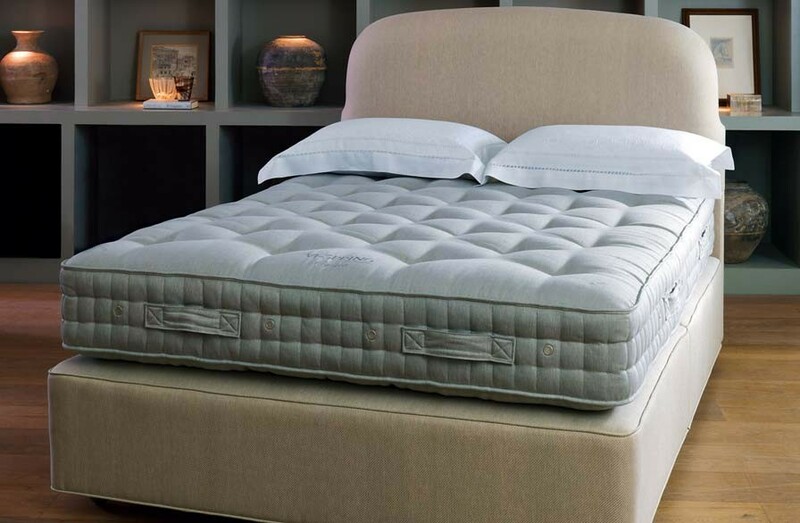 The resilient innerspring support system of the Coronet works in perfect harmony with the British fleece wool and ultra-plush cotton upholstery to create a sleep experience that will be cherished for generations. Vanadium Wire Springs. 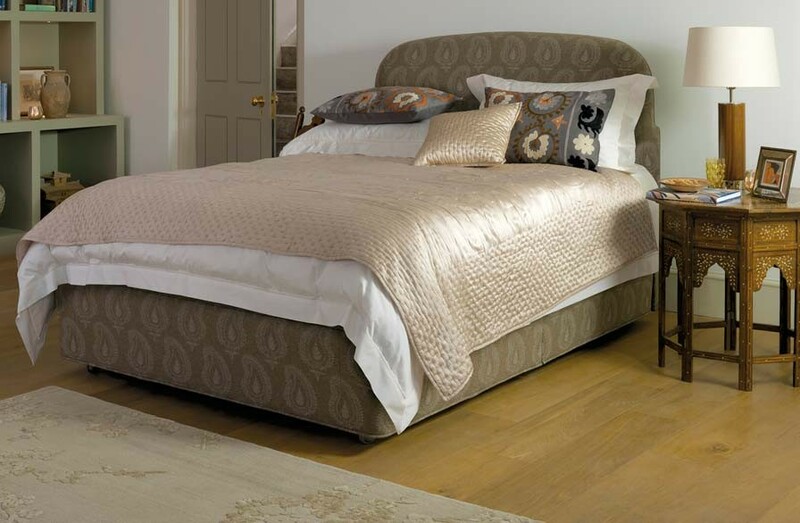 Designed to remain resilient over time, the Coronet bed features over 1500 six-coil vanadium wire springs that form the foundation for long-lasting comfort and support. Wire springs are 1.93 inches in diameter and come sewn in to individual calico pockets. As a finishing touch, the support system is hand formed into a honeycomb-nested unit. Hand-stitched Border. 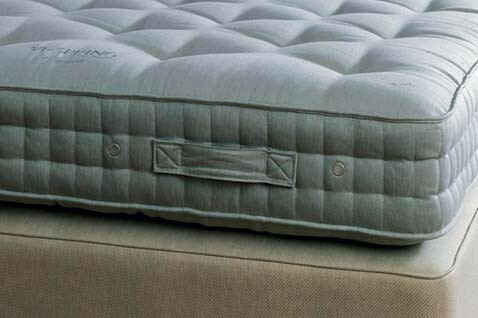 The Coronet features a mattress border that is 8.3 inches deep, reinforced with 2 rows of genuine hand side-stitching. 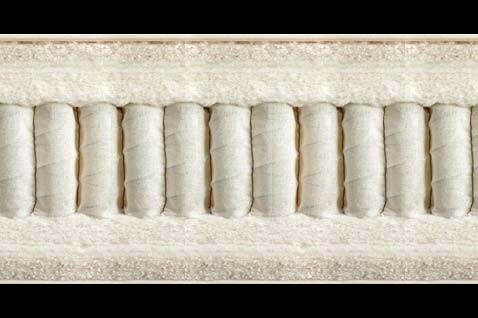 Mattress border is adorned with air vents on all sides for enhanced breathability and temperature regulation throughout the night. Border upholstery features fine protective wool, finished with a piped-ticking process for an exquisite softness and is free of allergens. British Fleece Upholstery. The Coronet comes upholstered in 1,300gsm bonded British fleeced wool. The Coronet is then covered with two additional layers of British fleece wool, then overlaid with a layer of blended British fleece wool and cotton. 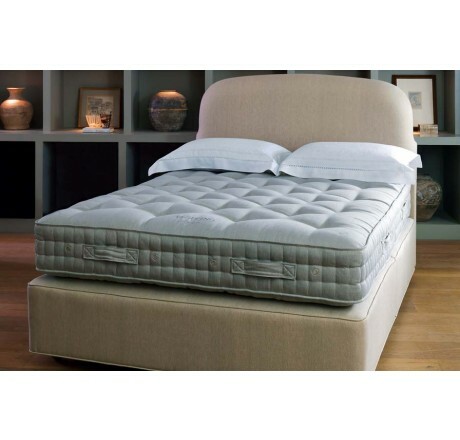 The Coronet by Vi-Spring is a remarkable luxury bed that must be experienced firsthand. Brickell Mattress is proud to be the only luxury bedding store in Florida to carry the world-renowned line of Vi-Spring beds. For an exclusive showing, please call Brickell Mattress at 305.326.4000.